Facilities with flair - our luxury trailers are the last word in high quality bathroom facilities. Need to freshen up a crowd? We've got it covered with our range of contemporary shower trailers! Fresh, reliable and robust - our self contained portable loos can cater to crowds of any size. Facilities with flair – our luxury trailers are the last word in high quality bathroom facilities. Need to freshen up a crowd? We’ve got it covered with our range of contemporary shower trailers! Fresh, reliable and robust – our self contained portable loos can cater to crowds of any size. Vibrant and bright – our brand new range of luxury trailers really get the party started! 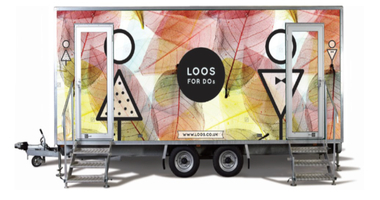 Welcome to loos.co.uk, one of the UK’s leading toilet and shower hire companies. We specialise in the supply of portable toilets and shower trailers for the events and building sectors. From luxury toilet and shower trailers for weddings and upscale public events, we also supply mobile toilet cubicles and shower units for music festivals, charity and sporting events. Although based in Hampshire, we have mobile teams based in London, Surrey and Sussex. Contact us for the best price and industry leading service!